The Elephant Chair is an outstanding design by Neuland Industriedesign. Originally with leather cover and chrome-plated frame with four legs, the “Elephant” from the Kristalia family now presents itself with new legs. With its practical swivel base the design chair is not only suitable for the desk, but also as a conference or visitor chair. The swivel base is made of high-quality aluminium. In shiny silver or painted to match the colour of the seat shell, the frame is available in different versions. 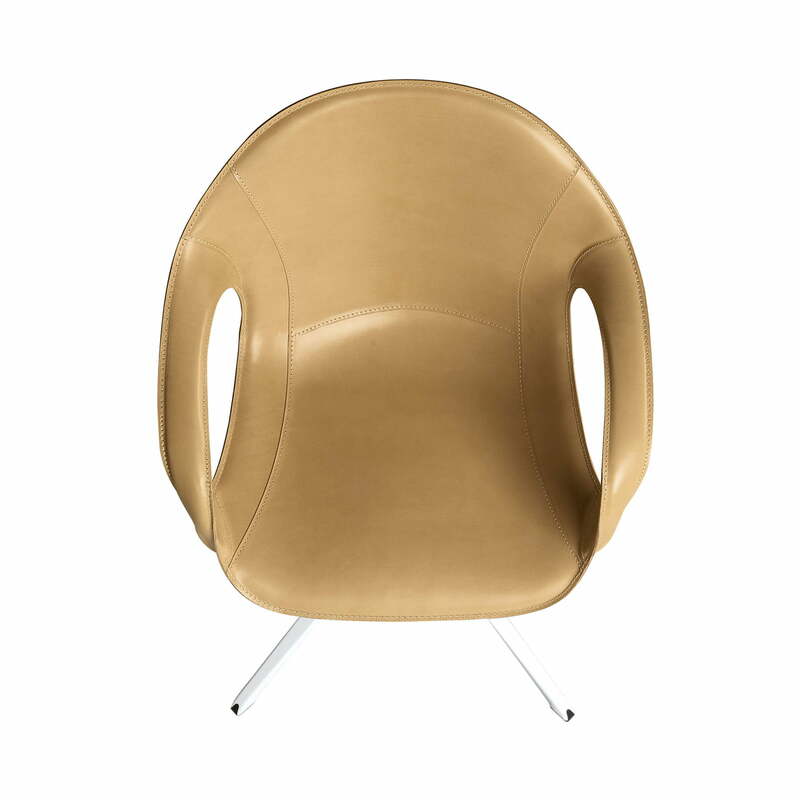 The base is completed by the seating shell made of durable polyurethane or a leather cover in natural or black, which is made with handcrafted stitching. Reinforced ribs shine through the leather cover, which are reminiscent of the elephant’s strong backbone, giving the chair its name. The Elephant Chair with swivel base is the modern version of an office chair. 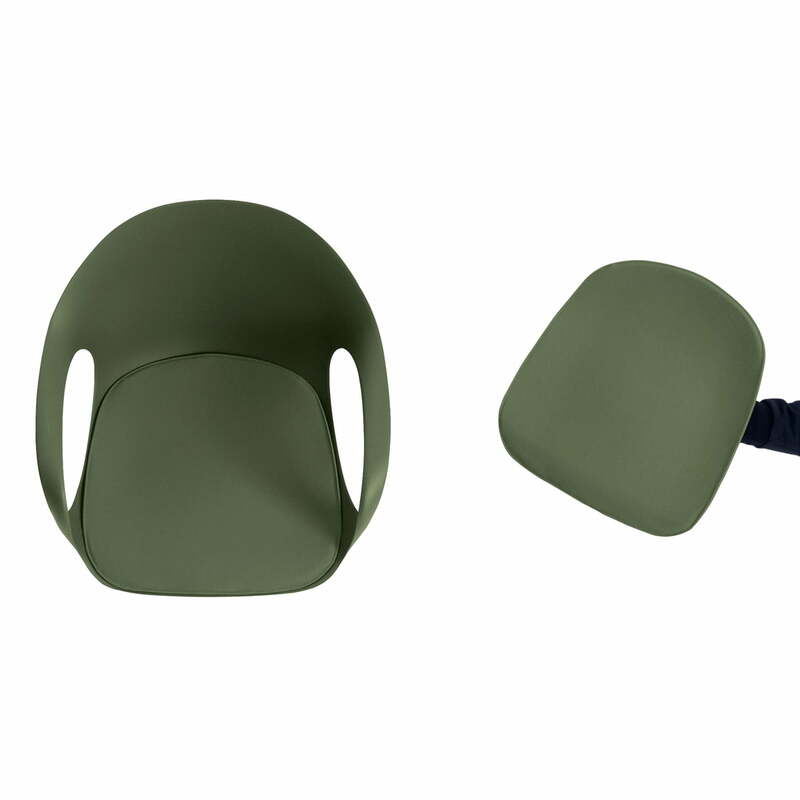 With an ergonomic seat shell, which is also available on request with a fabric cover and removable cushion, you can easily spend several hours at your desk. With a choice of different colours, materials and combinations, the Elephant can be individually configured. 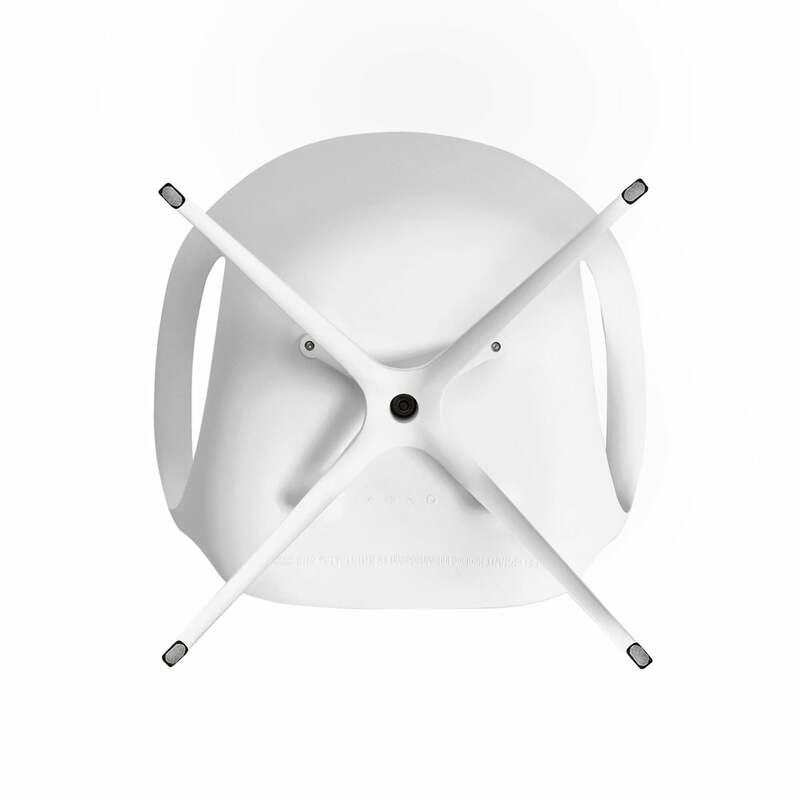 Single image of the Elephant chair with polyurethane seat shell in white and matching lacquered aluminium frame. 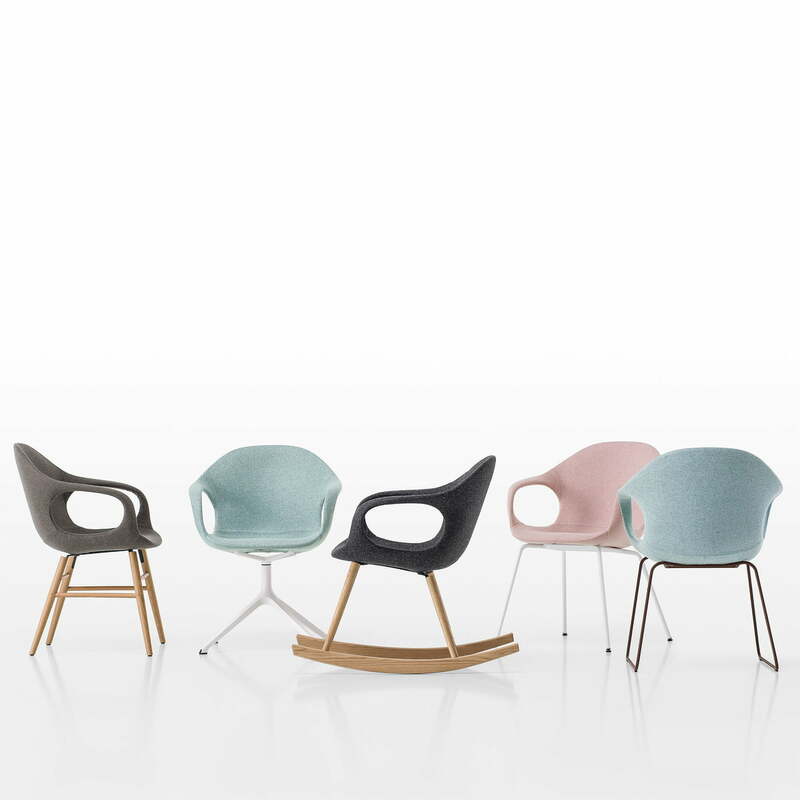 A modern design for working areas, conference rooms or waiting rooms. The Elephant chair with four-legged frame by Kristalia in detail. The aluminium frame in white with seat painting in a mathing colour. A monochrome theme for the Conference area. 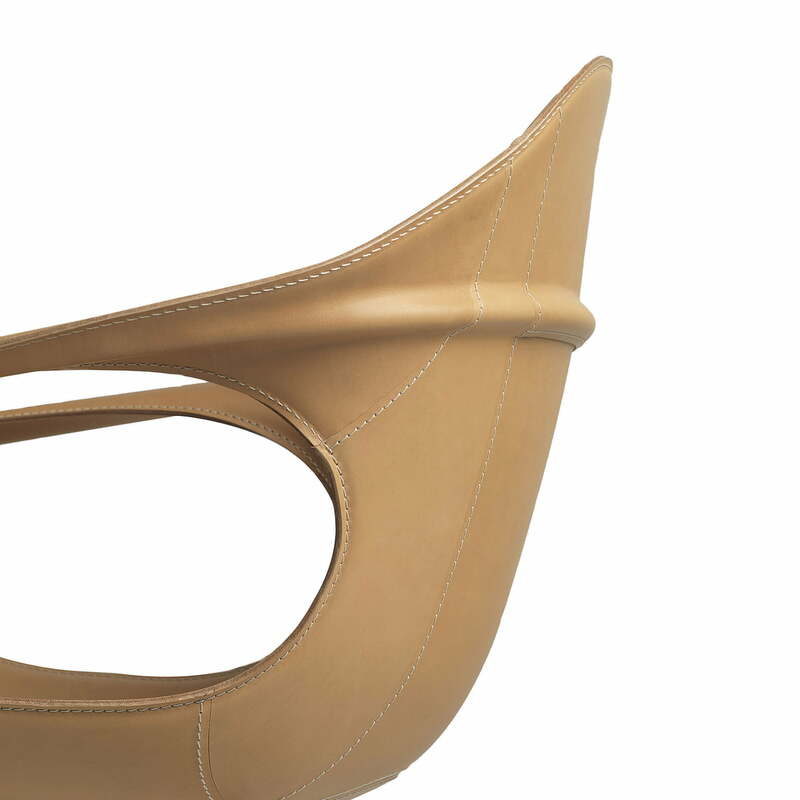 Single image of the Kristalia Elephant chair upholstered in leather, available in nature. A reinforcement of ribs shines through the leather and reminds of the strong backbone of the elephant and therefore gives the chair its characteristic name. 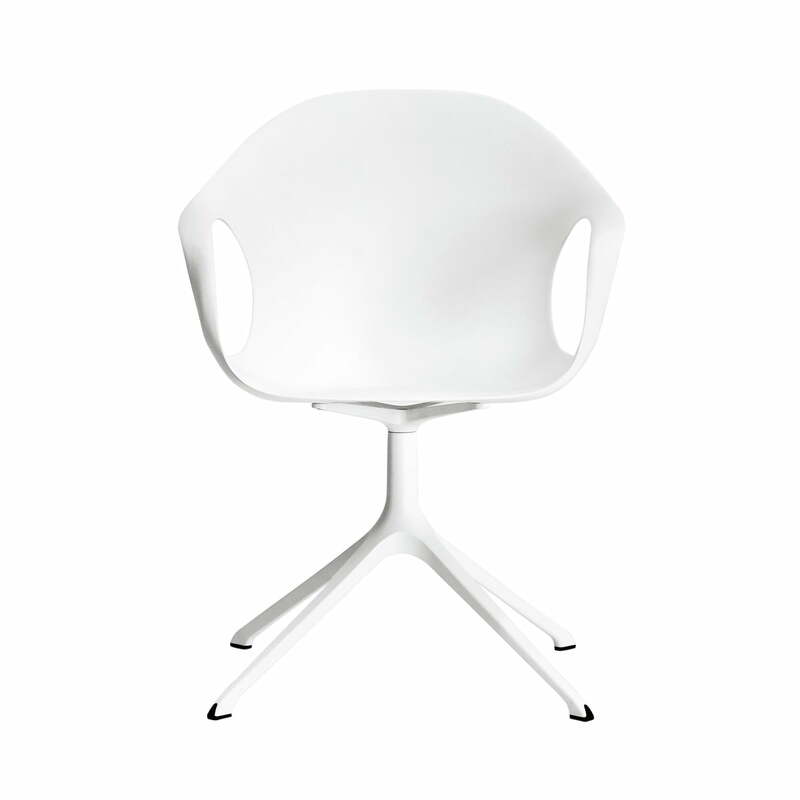 Single image of the Kristalia Elephant chair with swivel base made from aluminium lacquered in white. 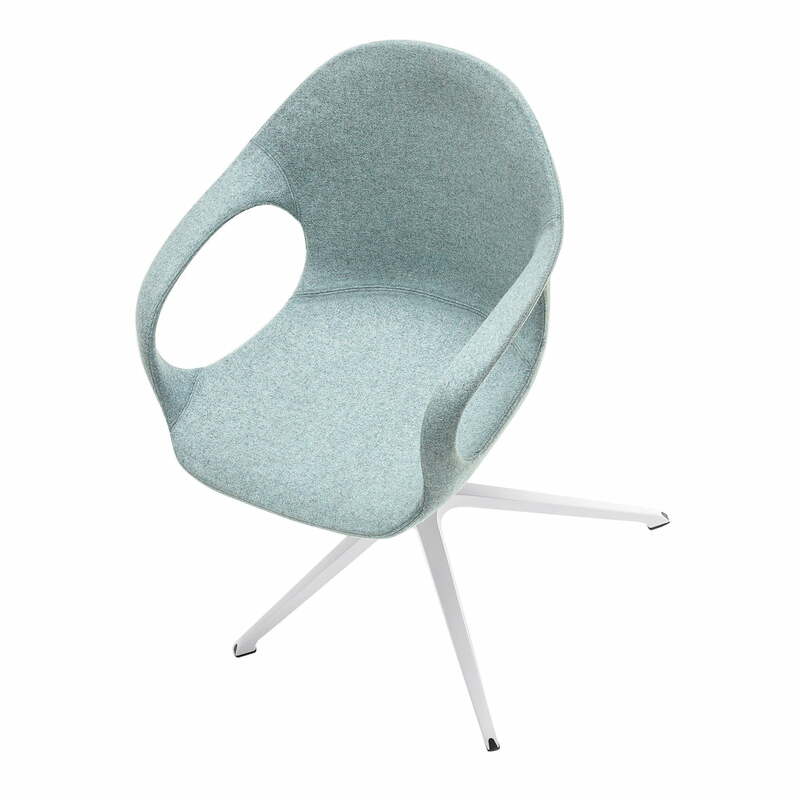 The Kvadrat upholstery of the seat makes the modern Conference Chair particularly comfortable. The characteristic leather covering that together with the reinforcement at the ribs, reminds of the strong backbone of an elephant, gives its name to the Elephant chair. 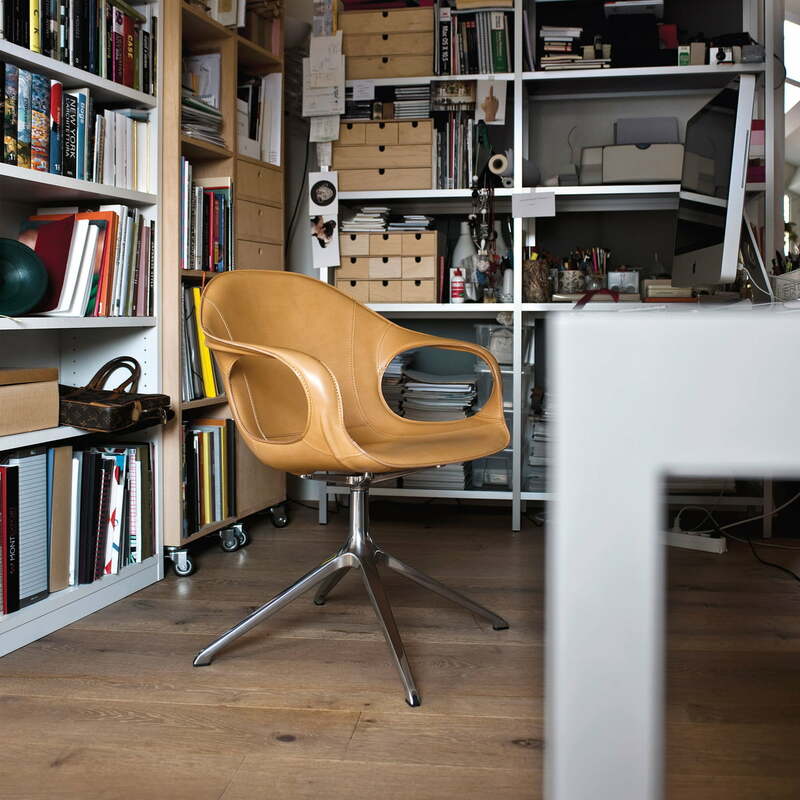 With leather and classic aluminium chassis, the Elephant chair is a timeless and modern office chair that cuts a fine figure not only in the home study.